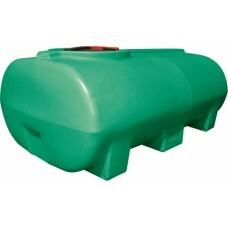 Free standing horizontal poly tanks come in a variety of sizes. They are made of durable, impact resistant UV stabilized polyethylene for long life. Impervious to most chemicals.Â Tanks can be mounted directly to any flat surface, no frame required.Â Come with standard 2" bulkhead fitting. Baffle balls and sight glass kits are available options.